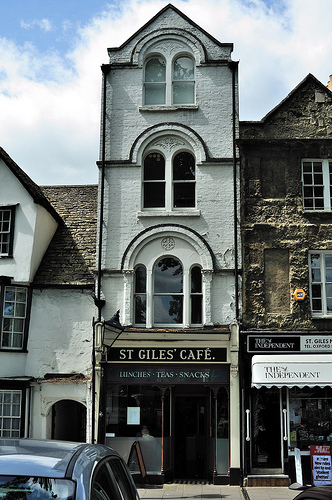 The Peter Lang Oxford office is located in the heart of the historic university city and serves authors across the UK and Ireland. We also have a commissioning presence in Dublin. We publish a wide range of academic titles, including monographs and edited collections. We have particular strengths in modern languages, Irish studies, linguistics and theology. Our catalogue is constantly expanding into different areas, with recently established series in fields such as visual culture, cultural studies, education and religious studies. For more information about series in your subject area, please see the SERIES tab above. We welcome proposals for new titles in all spheres of the humanities and social sciences. To submit a book proposal, please contact oxford@peterlang.com. Lucy has been working in publishing since 1995, and as the UK and Irish Director of Peter Lang since 2011. With overall strategic and commissioning responsibility for the UK and Irish divisions, Lucy also acquires manuscripts in the areas of African development, ethics (including business ethics), religion and theology, media and communication, sport history, trade union history, and British mesolithic and neolithic studies, amongst others. She also commissions books in the history and culture of Scotland, aspects of British identity since 1707, and queer studies. She is always interested in receiving new series ideas, as well as proposals arising from conferences. Laurel began working in the publishing industry in 1995 and has been employed in trade, educational and academic publishing. She completed her PhD in German and French literature in 2005 and joined Peter Lang in 2010. Her core commissioning areas are French studies, German studies, English literature, cultural studies, comparative literature, film studies, art history and linguistics. She also manages specialized series in Russian literature, memory studies, science fiction, women’s writing, transnationalism, critical race studies, translation studies and Australian studies. She is currently developing our publishing programme in medical humanities, among other new areas. She is delighted to speak with scholars about new book and series proposals. Christabel began her career in the publishing industry in 2004 and worked as a commissioning editor for Palgrave Macmillan before joining Peter Lang in 2010. In addition to managing our Irish studies program, she commissions across a wide range of subjects in both the humanities (particularly English literature, Italian and Hispanic studies, linguistics, medieval and early modern studies, theology and religious studies) and the social sciences (particularly education and sociology). She is happy to discuss new ideas and research and would welcome enquiries from anyone working in the subject areas mentioned above. Phil joined Peter Lang in 2018 and is working out of Glasgow, Scotland. As a former history lecturer at Cambridge University, he brings with him a wealth of knowledge of both his subject area and current academia. At Peter Lang he is focusing on building networks in the North of England and Scotland and enhancing and establishing a presence with scholars in Open Access and traditional publishing in both history and selected social science areas.